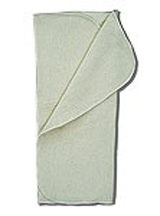 Is available as a bundle - outer envelope + choice of microfibre insert or bamboo insert OR buy the outer shell separately and use with your own choice of insert. Inserts available separately. Please note we keep a constantly changing stock and this is a popular line, from time to time colourways and prints are discontinued.